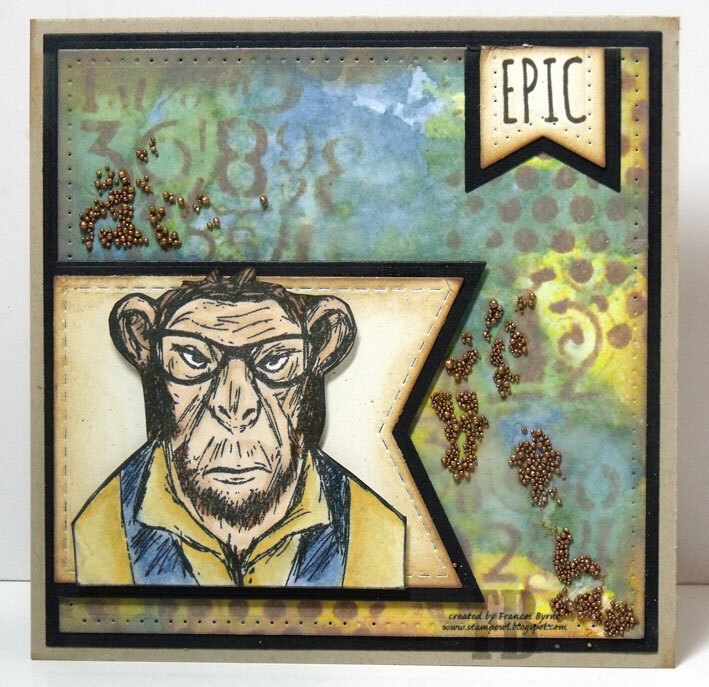 Today I am sharing a card I created with my recent purchase of the Stampers Anonymous Hipster stamp set. I was a little on the fence as to whether I needed this set or not ... but as you can see I climbed that fence and got it hehe! I will be sharing cards I made using this stamp set over the next few days. I thought most of the stamps in this stamp set would be great for male cards which I never have enough of, so I have created some male birthday cards using them. 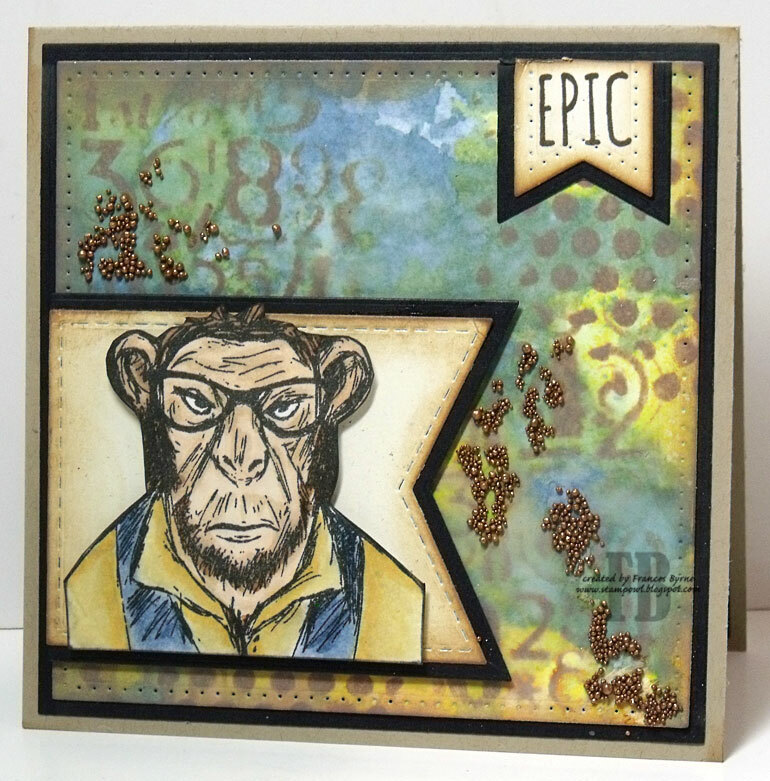 For the background of my card I used Distress Oxide inks by smooching the inks on my craft mat. I then used a few different stencils to the background. I used the Stitched Fishtails and Fitted Fishtails die sets to layer the image from the set and the sentiment. Finally I added some Multi Medium Matte adhesive to add some brown prills over the background. For the inside of my card, I created another background panel for the left hand side of the card so it was similar to that on the front of the card. On the right hand panel I added a birthday sentiment. Oh good gravy, that is so cool! Looking forward to seeing what you come up with using this set. This is a great masculine card for sure.